! ! ! alcohol ink art ! ! ! Hover over the heading "Alcohol Ink Art Gallery" (above) then click on the "image slide show" to view images that have I created using alcohol ink as a foundation to 'doodle' over! Many of these images have been uploaded to websites that sell my art on apparel as well as other functional products for everyday living. The link to "Zazzle" (shown just below the product pictures) will take you directly to my items within the 'print on demand' store. 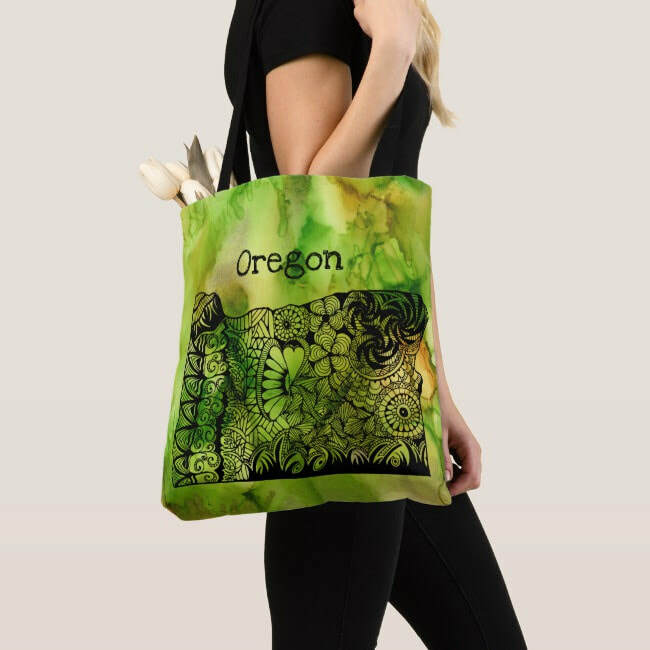 Over 400 items are available (identified within the store as 'redzumba') ... Have fun shopping directly (or if you are local to the Eugene/Springfield area, I can order for you saving you shipping costs). Pictures to the right side of this page are only few of the many items available at Zazzle.com. There is always a promotion code at Zazzle.com to help you save on the things you like. Check back often to see what is on sale today by clicking the "Zazzle" link below! ​See an image you liked in the gallery slide show?​Want to see it in your own home? 4) Your name and specific email address you would like me to use to get back to you with an estimate. Poster Board is the least expensive route to go and the largest size I offer is 20" x 30". Metal is less expensive than Acrylic but both can be ordered up to 24" x 36". Vinyl is the most expensive and can be quite large mounted on Gator Board weighing practically nothing (even at 3 ft x 4 ft in size). If you would prefer a 'paper print' that you can frame yourself that is also possible up to 20' x 60". While you are here....check out my coloring books! ​All books available thru Amazon.com/ruth dellinger. Just click on the 'button' under each book to go directly to Amazon to order now! Good news, my books have an extra page inserted after each coloring page to help manage "bleed through"​ when coloring with gel pens or markers. These coloring books contains intricate and uniquely hand-drawn images.